Known in some circles as “The Tomahawk Man” because in criticism I will be bold, and as sternly, absolutely just with friend and foe. From this purpose nothing shall turn me. I am also the Editor of THE BROADWAY JOURNAL; author of THE RAVEN, and still as poor now as ever I was in my life. I blog about the art of writing and occasionally rage against the idiocy of the literati. We would have to be living in the 19th century to not know that National Novel Writing Month begins tomorrow. In an effort to assist participants in their endeavor, I have compiled a list of tips for writers from my critical essay The Philosophy of Composition. Have the plot mapped out in your mind. Every plot, worth the name, must be elaborated to its [final resolution] before any thing be attempted with the pen. It is only with the dénouement constantly in view that we can give a plot its indispensable air of consequence, or causation, by making the incidents, and especially the tone at all points, tend to the development of the intention. Ask yourself, “Of all the many emotions the mind body and spirit can perceive, which will leave the greatest impression upon my reader?” then choose a novel and vivid ‘effect’, or impression. Once you have determined the effect you wish to convey, decide whether the effect is best illustrated by incident or tone — whether by ordinary incidents and peculiar tone, or the converse, or by peculiarity both of incident and tone — afterward looking about me (or rather within) for such combinations of event, or tone, as shall best aid me in the construction of the effect. Make your work readable in one sitting. It is my opinion that any work should be undertaken step-by-step with the precision and rigid consequence of a mathematical problem, even though this seems too rational a process for a romantic writer. For the sake of an example, let us look at my own process for writing The Raven, which actually began with the final stanza. Next, I considered the impression, or the effect I wished to convey to my readers, and if I’ve blogged about it once, I’ve blogged about it a thousand times: Beauty is the essence of any poem and an obvious rule of art. That pleasure which is at once the most intense, the most elevating, and the most pure, is, I believe, found in the contemplation of the beautiful. Having determined my effect, I next considered tone. Beauty of whatever kind, in its supreme development, invariably excites the sensitive soul to tears. Thus, melancholy is the most legitimate of all the poetical tones. With the tone defined, I next contemplated what poetic techniques to use to best evoke melancholy, and hence, I decided on the refrain, specifically a one-word refrain. At this point, I considered the sound of the refrain, which led me to the word – ‘Nevermore’. Note, that this word came to me through the mechanics of the poem and not through any contemplation of character, setting, or other story details. 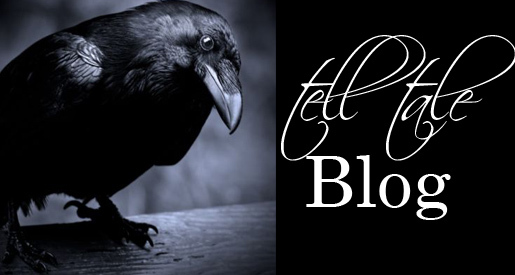 Nor did the use of a raven in the poem arise from a previously constructed story idea. I chose a raven because the refrain was most plausible being repeated by a non-human being. My first thought was of a parrot, but a raven fit the tone of the poem. At this point, I asked myself “Of all melancholy topics, what, according to the universal understanding of mankind, is the most melancholy?” Death — was the obvious reply. I now had to figure out how to combine my ideas in the best way possible to prove this point. Details like setting, character, dialogue began to emerge, but it’s important to note that these details and circumstances came as a means to fill out the meter and structure I first determined. 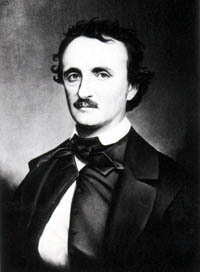 Poe, Edgar A. The Philosophy of Composition. English, Anthony D. ed. Concise Anthology of American Literature. NY: Macmillann Publishing, 1993. This entry was posted in Fiction, Free Play, Poetry, Writing and tagged edgar allan poe, halloween, writing by Brianna. Bookmark the permalink. Very clever idea! Blog looks great. E.A. Poe has always been a big favorite of mine. These are some excellent writing tips that I will have to consider as I set into my November novel. I really appreciate you giving such detailed instructions on how you create a story! I totally agree with having your plot well-thought out before you write. Wish I could do that! But, don’t you think all that planning stifles creativity a bit? I am glad these steps work for you, but I don’t think I could do them myself (or I’d never get started). Perhaps when I am not so new to writing, I can plan all this in advance. Brianna, Awesome Blog Dress Up and post! That was very clever, and very believably written by Poe. Well done! I love the authentic voice that comes through your post~! Beauty does lie in the beholder ;D I love this clever idea; well done~ Sorry I am late to the Poe Party…what a wonderful post! This is brilliant! You really did your homework and I love how you used Edgar Allen Poe’s voice! This fit in perfectly with the Halloween theme! I’m drawn to clever and creative stories, so if I’m unfortunate enough to miss the next one, please call me over. So, I have an idea to twist on last year’s A to Z. Last year you tackled biblical characters; next year tackle authors! It’s always a treat to see how you adopt a new voice and character in these “guest blog” posts.